This form is required for youth to attend any event that is not at our regular meeting place. We must obtain approval and consent for Cub Scouts and guests (if applicable) under 21 years of age to participate. Typically this form will be pre-filled in Scoutbook and available for families. To be completed at least annually by participants in all Scouting events. This health history, parental/guardian informed consent and release agreement, and talent release statement are to be completed by the participant and parents/guardians. Pack 88 does not perform uniform inspections, however this guide is helpful for patch placement on class A adult uniforms. Pack 88 does not perform uniform inspections, however this guide is helpful for patch placement on class A adult uniforms. Webelos scouts work closely with Boy Scout troops and wear the same uniform as Boy Scouts. 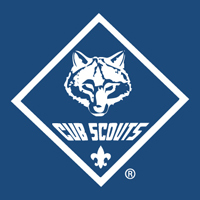 Webelos may continue to wear the blue uniform worn for Tiger, Wolf, and Bear, but is highly recommended that scouts transition to the Boy Scout uniform before crossing over to Boy Scouts. Turn by turn directions to Camp Karoondinha. Official map of Camp Karoondinha. We invite you to share your skills and interests so the best possible program can be developed for the scouts in this pack. In making this survey, the committee wishes to find ways you can enjoy using your talents to help our Scouts.